Fall is my FAVORITE month. Cooler temperatures, dark just early enough to get the kids to bed before 9 (more sanity time for mommy) and APPLES of course! My daughter is 4 now so we have moved into a preschool curriculum. Everything in our curriculum revolves around quality books and child development. 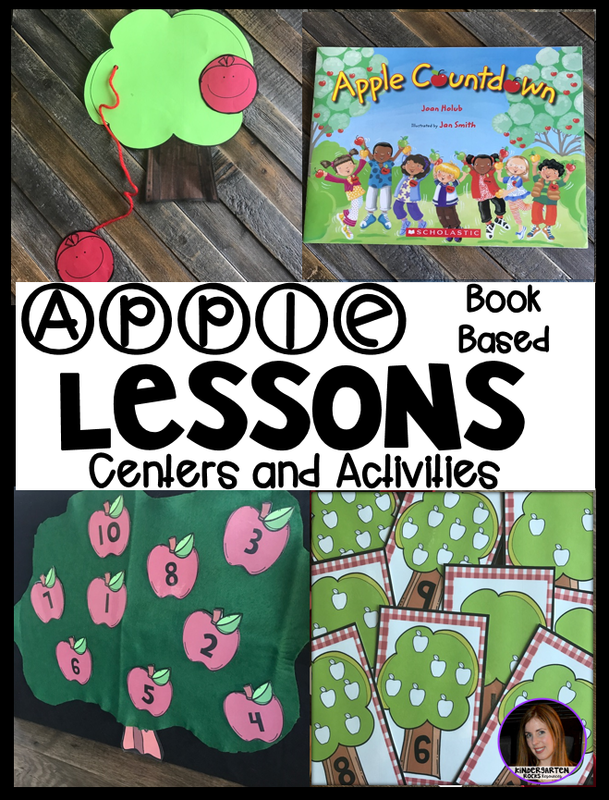 The first book we read was, I Am an Apple by Jean Marzollo. This book is at just the right level for a four-year-old. It is short and to the point. It allows boys and girls to learn about the life cycle of an apple in simple terms. 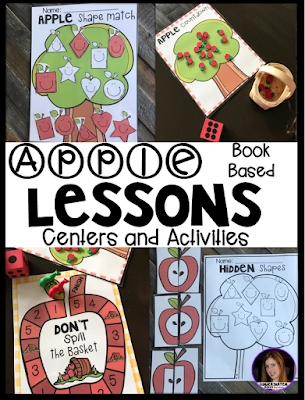 My daughter has really been into seasons this year, so next we used a cute little flannel board to discuss the seasons of an apple tree. First I used the tree and different season signs, and then she had fun playing with them. We have also been working hard on our paper cutting skills. She loved cutting out the apple template and strips of paper to make this apple stripe craft. We can also never get enough play dough in our house. 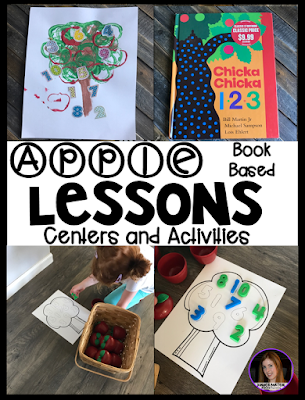 V, on her own, decided to make an apple tree like the one in the story and then finished by adding tons of apple erasers to it. Next we read one of our favorite books (again), Chicka, Chicka, 123 by Bill Martin Jr. We also watched the scholastic video-it is one of our favorite songs. Throughout these activities we focused on number identification from 1-10. I got these cute little Apple Bobber Plastic Containers on amazon and put the numbers 1-10 in them. Next, I hid them all around the house and V used a basket to collect them. Finally, she opened each container and identified the number and matched it to the number of the Chicka 123 tree. We have been working on counting forward to 20 and backwards from 10. This book fit in nicely. 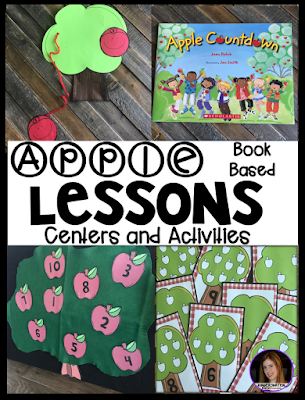 In Apple Countdown, by Jean Holub the boys and girls are on their way to the apple orchard. We also made a trip this week, so she was excited to make the connections between the story and life. We also learned a new song, Way Up High in an Apple Tree. V loved using our flannel board to pull off the apples as we sang. 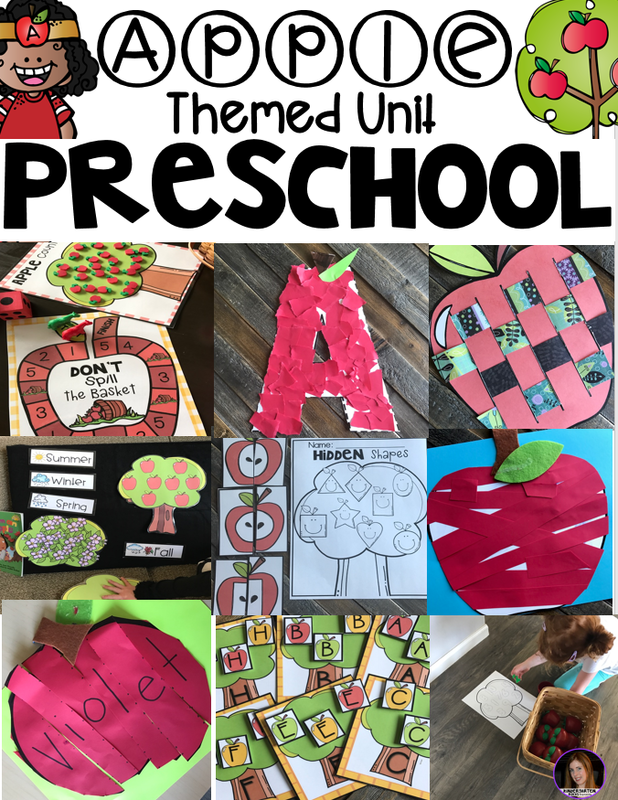 We also made a cute song prop to sing our apple tree song the second and third time through. 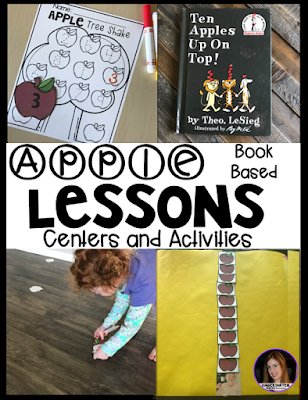 An apple unit would not be complete without reading Ten Apples up on Top, by Dr. Seuss. After reading and counting each set of apples, we continued to work on our number identification. We placed apples numbered 1-10 on a parachute and sang our new favorite song Way Up High on in Apple. When we started to sing, “I shook that tree as hard as I could…” we shook the apples in the parachute all over the house. V picked each apple up one at a time and tried to name the number and then traced in on her Apple Tree Shake Printable. 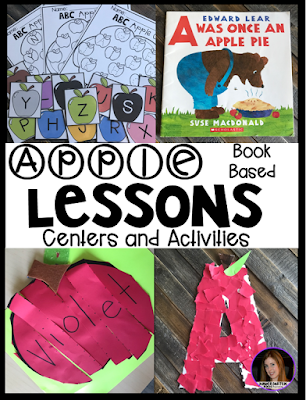 We had fun with the letter A and letters in general after reading A Was Once an Apple Pie by SuseMacDonald. V likes to talk about letters, but is still a ways from mastering them. We discussed the letter A and the sounds that /a/ makes. I had several toys out to listen to the sounds. For long /a/: airplane, ape, angel and apron. For short /a/: apple, a toy ax and a toy ambulance. Then, V cut out the letter a and tore tiny pieces of red paper to cover it. She cut out a stem and a leaf using scrap paper. We also worked a little on name letter order. I wrote her name on an apple. She cut out the apple and the letters of her name. She glued them back together to form her name. We ended our week reading Under the Apple Tree, by Steve Metzger. This book way to review what we have been learning throughout the week. We looked at different attributes of apples using these amazing •Attribute Apples. First we compared the apples by colors (red, green and yellow). Most children automatically sort objects by color. To challenge her thinking, I also made her sort by size and by whether the apple had a worm or did not have a worm. Finally, she cut out a variety of apples and sorted them by large, medium and small. We had so much fun with our art and sensory activities this week. 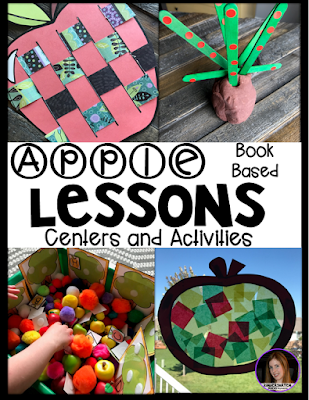 First, we weaved fun patterned paper to make this cute apple weave. 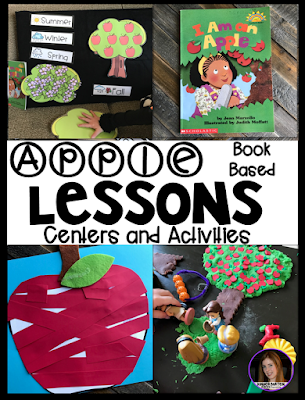 V also had fun using a variety of materials to make this cute apple tree. 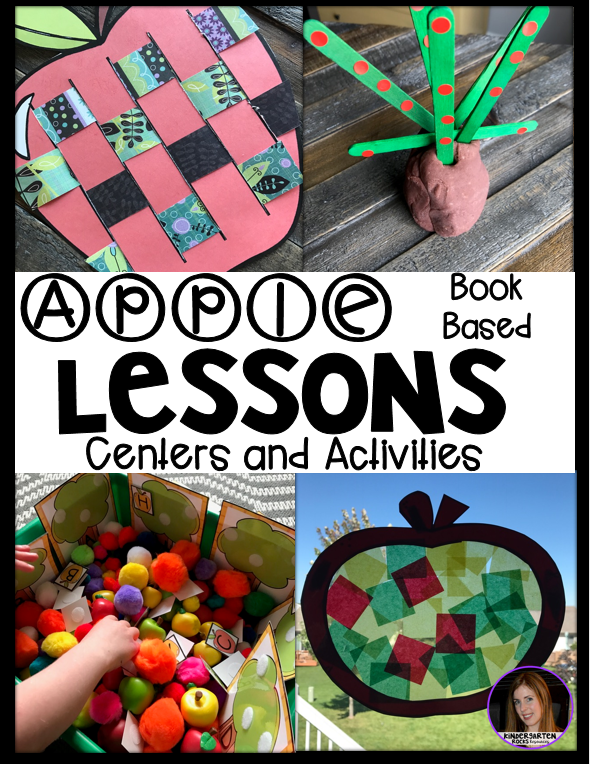 We used tissue, paper an apple frame and contact paper to make this adorable apple sun catcher. 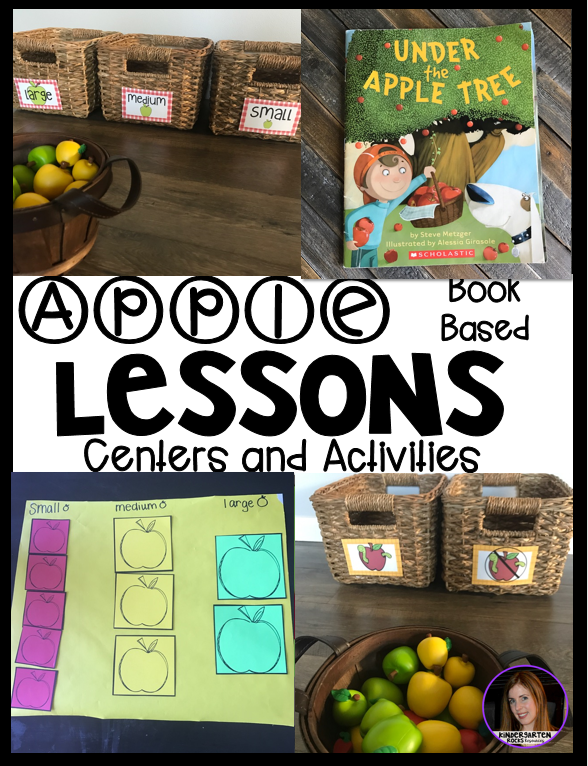 Her favorite was the sensory table with attribute apples and pom poms and this cute alphabet sorting activity. She had to choose a letter and place the “apple” on the matching tree. We had a lot of fun with out tub activities. We loved the game, Don’t Spill the Basket. V worked on rolling the dice, counting the dots, and identifying numbers 1-5. We also worked with shape puzzles, matching shapes and one-to-one correspondence. We had so much fun with our apple unit! If you want to learn more check it out (here)!